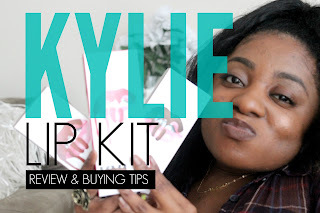 LilMissStyle Blog > VIDEO: Kylie LipKit Review & HOW TO BUY THE KYLIE LIPKIT!! 4.02.2016 VIDEO: Kylie LipKit Review & HOW TO BUY THE KYLIE LIPKIT!! 1. Follow both the Kylie Cosmetics and Kylie Jenner's personal IG page: Make sure you're following both pages since launch date hints are posted on both pages. 2. Set Up Notifications: At the top each page, click over the three dots in the top right corner and select "turn on notifications". This way you'll receive an alert directly to your phone each time there is an update (you can turn it off if becomes too annoying). 3. Wait for alert notifications to find out when items will go on sale: Once you get an alert, visit the comments (they usually don't mention release dates in the caption because they want you to buy the app) to see if there's a mention when the next release will be. 4. Be Prepared: Once you know the date/time of the release date and you're on the site, remember you get a minimal amount of time before the items are sold out. So act FAST! Make sure to have the link open, as well as all your payment info ready and out 5-10 minutes prior to the launch in order to make the whole process nice and smooth. 5. Be Patient: Once you paid, the site may take some time to process your order, so hold tight and be patient. It may take a while, but closing the link can cause you to miss out. Also, depending where you live shipping time may take a while too. But I promise if this is a product you really want, it's worth the wait!